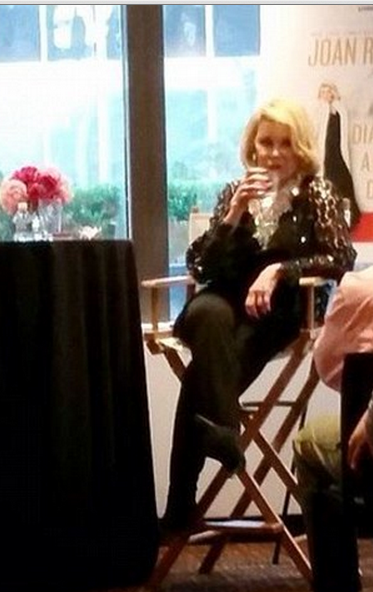 Joan Rivers was my client around the time of her late husband Edgar’s death. She was referred to me by her ear nose and throat physician Dr. Edward Kantor in Beverly Hills to help her learn to not abuse her vocal cords and to help her use her speaking voice more effectively. So it came as no surprise when I learned today that she went in for an endoscopic procedure at Yorktown Endoscopy Center in NYC so that her doctors could get a closer look at the function of her vocal muscles. We all remember Joan as having a machine gun like gutteral sounding hoarse voice as we not only heard her verbal jabs during her comedy routines, but her vocal jabs to her laryngeal muscles and vocal cords. When a person sounds hoarse and often lose their voice, it is not uncommon to have a laryngeal endoscopic procedure done so that the physician can visualize the vocal cords to check for how they function or whether there is paralysis, vocal nodules, or vocal ulcers. The procedure using a transnasal flexible laryngoscope or laryngeal oral scope is used for this office-based diagnostic procedure which is extremely well tolerated and performed on patients of all ages from newborns to someone who was 81 like Joan Rivers. Before the endoscope is inserted topical anesthetic is placed in the nasal cavity to avoid stinging and burning during the procedure.Then they sit in an upright position and the scope is passed along the floor of the nose into the back of the throat to a level just above the vocal cords.It is essentially a painfree simple procedure. 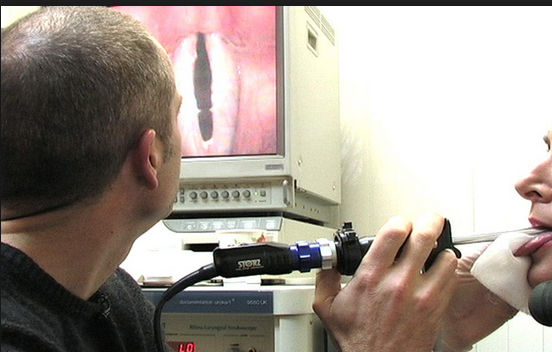 Next the patient is asked to breath deeply and say the “ah: sound which allows the physician to directly observe the structure and dynamic motion of the vocal cords which they can view on a video screen .There are no side effects of the procedure and the anesthesia spray usually wears off in about an hour. So if Joan was undergoing this simple non invasive non life threatening procedure, what happened? Why was her airway cut off? Did someone do the procedure improperly? Was a technician doing the procedure or was it a licensed physician? Was this a case of malpractice? I have to ask these questions because it seems odd to me that her airway would be closed off. Also lets say her airway was closed off, why did a clinic of this kind or any kind not have life saving equipment to open her airway? If she had a heart attack, why was there no immediate cardiac life saving devices on the premises? Why was she deprived of oxygen for any length of time? Why wasn’t she given oxygen immediately? This bothers me. Why were there not life saving emergency devices available and if they were why weren’t they implemented asap? I am so disturbed by this for several reasons. First, I knew Joan personally along with her daughter Melissa and I know the horrible toll it will take on Melissa and her son, not to mention the toll it will take on Joan, if she survives. Secondly I had personal experience with something like this happening in my own family. My dearest brother Manny was intubated improperly by a doctor who was only a doctor for 7 months. As a result my brother became a vegetable and died. I can never get over this and carry this severe emotional pain with me my throughout my life. So I cry for Joan and for Melissa and for her son Cooper as I know exactly how they feel to know that someone they loved had to die or become incapacitated in such a horrific manner. I have no doubt that with the resources available to Melissa there will be a thorough investigation as to what actually happened and who may be possibly responsible. It is so devastating that Joan was looking and feeling so good as it was reported hours earlier. Now her life is changed forever- and not for the better . Joan is now in a medically induced coma and depending on how long she was deprived of oxygen to her brain, she will most likely never be able to do what she did before. For some people that may be viewed as a relief because they found her humor politically incorrect and mean spirited. For others who enjoyed her humor and her views it is a great loss. Joan’s politics, point of view, and humor aside, no one should be going into a non invasive relatively simple procedure and end up potentially brain damaged in in a medically induced coma where they may never be able to speak or live. Joan , lived a big wonderful life and she made many people smile and laugh. What a great gift to have in life. 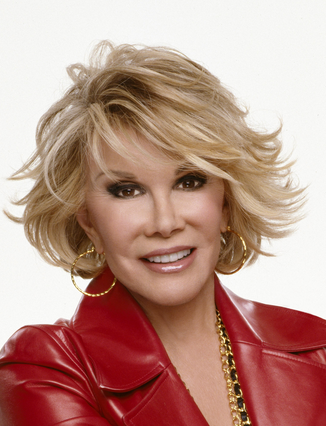 Joan , lived a big wonderful life and she made many people smile and laugh. I think we go when our time has finished here on earth. It’s hard to accept when it’s someone we love . Joan , touched many lives in a positive way. She will be missed but she deserves to be in a much more beautiful place now.